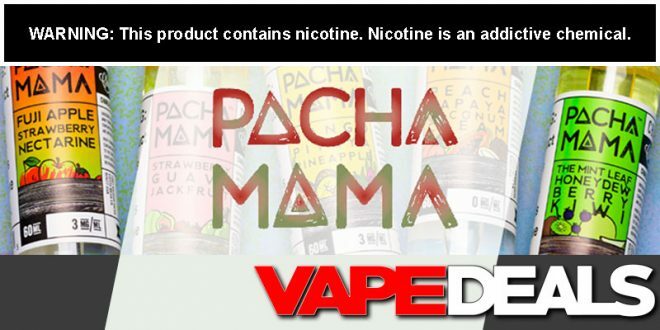 I’ve never actually tried any Pachamama juices. But, I can’t lie… these flavor profiles really got me considering. And, the city has ALL the flavor profiles in stock and on sale for just $11.99. That’s an $8 discount off the $19.99 MSRP. Not a bad deal for those looking to stock up (or give them a try). Blood Orange Banana Gooseberry | A fruit medley explosion featuring tangy blood oranges, luscious bananas, and wild gooseberries for a fruity concoction that will tingle the senses. Fuji Apple Strawberry Nectarine | A delicious fuji apple mixed with a combination of rich strawberries and nectarines for a sweet fruity blast of flavor. Huckleberry Pear Acai | Deliciously sweet huckleberry, fresh pears, and decadent acai berries to make for a fantastically sweet and refreshing flavor. Mango Pitaya Pineapple | A delicious combination of peaches, papaya, coconut and cream. Strawberry Guava Jackfruit | A delicious combination of sweet strawberries, full guava, and tropical jackfruit. Passion Fruit Raspberry Yuzu | Takes tangy passion fruit and combines it with tart raspberries and citric Yuzu fruit for a sublime vaping experience that will take your tastebuds for a ride. Peach Papaya Coconut Cream | A delicious combination of peaches, papaya, coconut and cream. The Mint Leaf | A delicious combination of sweet honeydew, tart berries, and fresh kiwis, finished off with a kick of menthol.